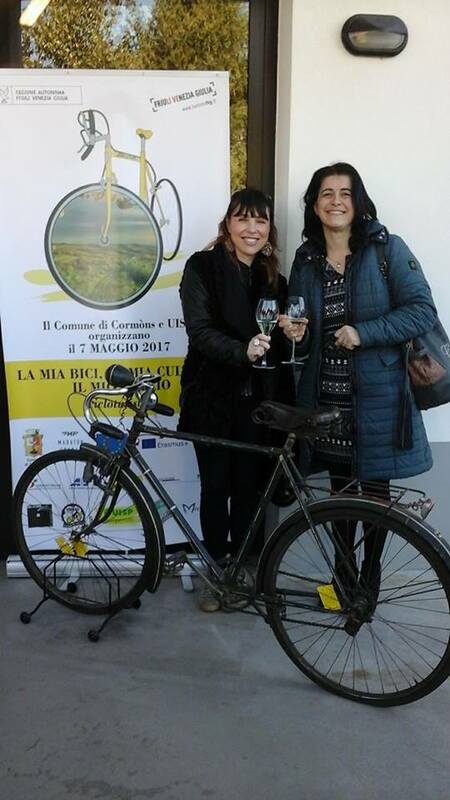 Deputy mayor Lucia Toros of the municipality Cormons, and Elena Gasparin, councillor for tourism in Cormons tell in this interview about My Sport is Franja event My Bike, My Culture, My Collio (La Mia Bici, La Mia Cultura, Il Mio Collio) on 7 May in Cormons. The municipality supports all activities of organizer UISP (the Italian union sport for all) and has joined the project ‘with enthusiasm’. What can you tell us about the relationship between your administration and UISP? What are the main reasons that led you to participate actively in the organization of the Franja project? What are the characteristics of Collio? Cormons has always been a very active town from the cultural point of view. Which cultural events are planned during the two days? A small provocation: culture and cycling, two areas that are incompatible or perfectly complementary? What do you expect will be the positive effects of My Sport is Franja in Cormons, and more generally to the Collio, in the long run?